Better quality of care—faster access to pharmacy services and new medication orders. Limit costly stat deliveries and dependency on back-up pharmacies. Offers less labor intensive alternative to current medication management programs . More effectively handle the frequent changes in drug regimens of higher acuity patients. Increased satisfaction of residents and their families. 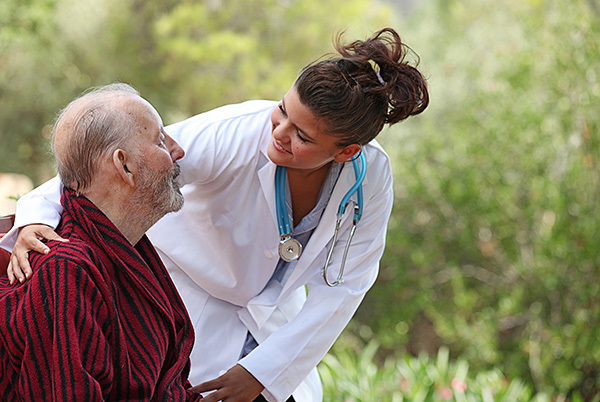 Greater caregiver efficiency—no need to manually document medication uses. Improved regulatory compliance and medication safety. The CEO of a very large CCRC once told us when he walks down the hallways of his community he knows that there are particular residents that are prone to having an adverse drug event. Often though, his hands are tied if the resident is self-medicating and refuses additional assistance. He said, “Once a week, one of these residents is taken to an emergency department for a medication-related problem. A high percentage of them get admitted to the hospital and many times don’t return to our community upon discharge.” Offer your residents another option as they continue to be more challenged with self-medicating . TabSafe’s Medication Management System coupled with the availability of progressive caregiving services can provide the solution. The TabSafe Medication Management System is an in-room medication dispensing device that allows the community to assist residents in taking their medications correctly in the privacy of their home. TabSafe allows a more efficient use of caregivers’ time, dispenses medications without the need of a med cart, and allows the med pass times to be personalized to the resident. It also gives the community the ability to monitor the resident’s adherence and ensure the availability of needed medications with alerts to supervision. The resident’s documented medication adherence can be used to demonstrate the resident’s ability to manage their own medication. TabSafe’s Medication Management System can provide efficient medication management for patients across the continuum of care. It benefits the more independent and self-medicating residents living in Assisted Living, Independent Living, or Continuing Care Residential Communities. It can also be used with higher acuity patients in LTACs or Sub-acute Units as a personalized and patient-centric medication management program. TabSafe reduces hospital admissions by significantly improving medication adherence even when used by patients with mild cognitive impairment. TabSafe’s Medication Management System supports security and regulatory compliance and helps increase the quality of care for residents. The system enables faster access to new medication orders that can be continuously reconciled to prevent adverse drug events. It has proven to be particularly useful in situations when the resident’s medications are stored in their room.